Watchdog has received over a hundred complaints about David Wilson Homes. The McGuires bought their house last year. Within a few weeks of moving in, they noticed all sorts of problems with their new home. They found holes behind the radiators, gaps around the tiles and cracks in the bathroom. Hazel McGuire told Watchdog, “In total, there were 339 snagging faults. The house was freezing and we couldn’t get it warm because walls and ceilings had not been properly insulated.” They also had problems with the roof. David Wilson Homes have agreed to meet the families in the film to discuss the best way to proceed with the repairs. It claims that in recent years it has consistently achieved a satisfaction rating from customers significantly above government targets. Bought new David Wilson home in Lincoln 25 June 2010 & had to be moved out 23rd August 2010 due to damp. All furniture into storage now water marked & damaged & we are living in a hotel with our 12 year old daughter. We brought a 4 bed detached David Wilson home in 2010 which was 6 years old. The house was beautiful and extremely well looked after. You notice aftér a while all the little faults which are hidden. Most we can live with. Sadly this last problem is definitely shoddy workmanship. We appreciate the house is 11 years old but at that age you wouldnt think that plaster would fall off the walls! I pulled some wallpaper off the wall going up the stairs and a chunk of plastér approx 7 foot by 3 foot has come off with the paper! Not alot we can do because its out of warranty but one thing is for sure we would never buy a David Wilson home ever again! We bought our home in June 2015 as a brand new David Wilson Home 5 bed property. We have been lucky compared to some on the inside although the quality of the finish in places is shockingly bad. Floor tiles laid down with resin all over the edges. Kitchen plinths crooked and gaping. Paint work covered in orange dust and debris. Thermastats wired in incorrectly. Tiles that simply fell of the ensuite and guest bedrooms bathroom walls. 6 month warranty period and that they didn’t cover garden landscaping. I was appalled and contacted NHBC. Ultimately I am now in a formal dispute with DWH over our garden. I have a garden that resembles a fly tip area with rubble piled high. I have a two year old who is unable to safely access the garden and to top it off I’m 20 weeks pregnant wondering if and when it might get resolved. My lesson learned from this and for anyone planning on buying a new home is ensure you employ a professional snagger and don’t just look on the inside. Often the biggest horrors lie beneath and have been purposefully covered up and you will never notice them until you scratch beneath the surface. It is their intention that you don’t find them until it’s too late. Run AWAY from David Wilson Homes and Matthew Elsegood. We reserved an almost half a million pounds plot with David Wilson Homes and put a deposit of £500. Two days before exchange our Buyer pulls out so we asked Matthew Elsegood Sales Manager at David Wilson Homes to extend our reservation period so we could find a buyer very quickly as we were ready to exchange. They canceled our plot against our will without notice and on top of that they kept £150 from our deposit when we were willing to keep the plot and it was not our fault. We were left with no buyer and no plot. THIS IS HOW MUCH DAVID WILSON HOMES CARES ABOUT THEIR CUSTOMERS. Their customer service is just appalling and disgusting. Never again. Matthew Elsegood working for David Wilson Homes is a waste of space. His linkedin resume is the resume of a loser. Do not employ this guy unless you want to lose customers. your specialized form you treated it made me to cry for joy. always undertaking educating people thru your website. I aam sure you haqve never met all of us. I bought a David Wilson home in June 2018. I naively thought because it was a small site (only 36 houses) we would not get many problems. I am now 10’s of the thousands of pounds out of pocket and struggling daily for my sanity. I cannot stress how much I WOULD NOT recommend David Wilson. We exchanged on the house in October 2017 and spent nearly £40k in extras so that when we moved in we would have a completely finished house. The reality is we moved in to a filthy building site that was far from finished. None of extra electrics had been fitted which required an electrician on-site for a further week. You can only imagine the amount of mess this created – plaster cut out and re-filled, dust, paint workmen everywhere. And that was just the beginning. 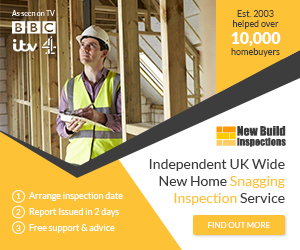 We when had a professional snag report done – there were nearly 400 snags that required new drainage, new sinks, window reveals replaced/repaired, new garage door, side not door just not fitted in garage(! ), 2 skip loads of rubble removed from the back garden, a complete re-skim and repaint of house…. Just to mentioned a few items. As you can imagine the lovely extras we put in aren’t looking so great after that amount of work. We moved back out for 2 weeks (although DW thought we could live through that chaos ….). The legal wrangling is still on-going and 3 months later we still have trades people needing to visit almost on a weekly basis. Most of the neighbours on the site that I have spoken to have suffered a similar experience. If anyone every mentions that are looking at a David Wilson home I would suggest you tell them to run and never look back. I can honestly say if I could afford it I would put the house on the market in the morning and walk away from it. I hope this helps some other person from having to live through the hell that we have endured and over the last 3 months and at the moment still have no sign of getting better anytime soon.